A night time moment of creation. Buttons for bracelets was created after thinking about a friend I miss so much. 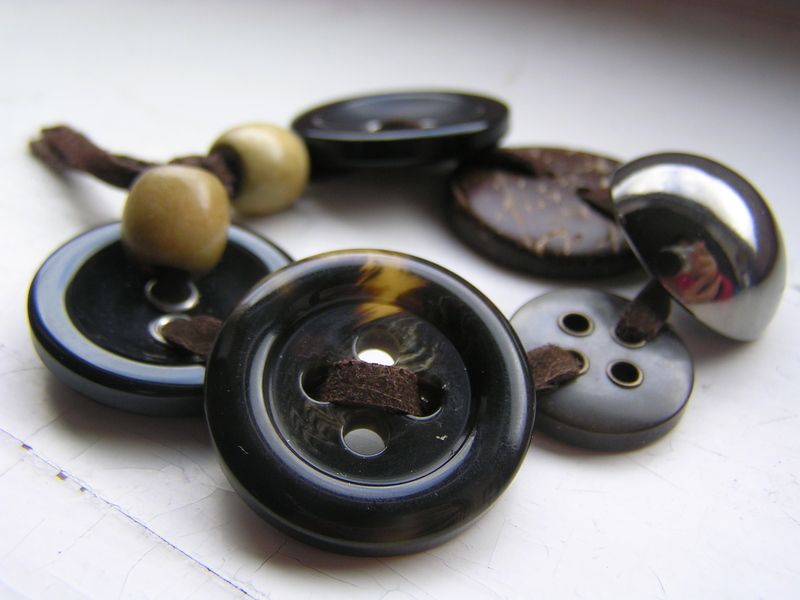 Save those buttons from Zara, River Island, Topshop. Pick them up from the floor. Make them into necklaces, earrings, bracelets. Use them to decorate purses, pencil cases, greeting cards. This entry was posted on February 23, 2010 by wanphing and tagged fashion.